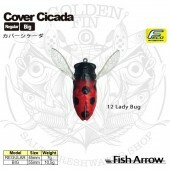 FISH ARROW COVER CICADA is a hollow body topwater lure. 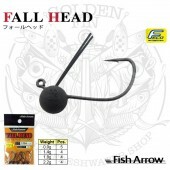 FISH ARROW FALL HEAD is a finesse jig head for heavily pressured hot spots. 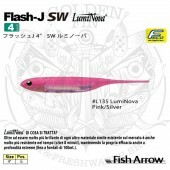 FISH ARROW FLASH-J have a straight tail and LUMINOVA treatment. 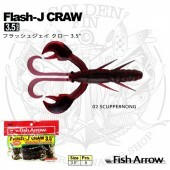 FISH ARROW FLASH-J CRAW 3.5"
FISH ARROW FLASH J CRAW is a 3.5″craw with reflective inserts molded inside of the claws. 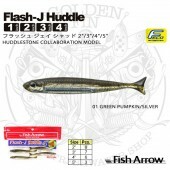 FISH ARROW FLASH-J HUDDLE 3"
FISH ARROW x HUDDLESTON FLASH-J HUDDLE is a life like swimming softbait. 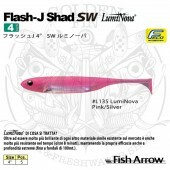 FISH ARROW FLASH-J HUDDLE 4"
FISH ARROW FLASH-J SHAD have a paddle tail and LUMINOVA treatment. 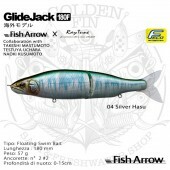 FISH ARROW GLIDE JACK 180F is a high quality floating swimbait. 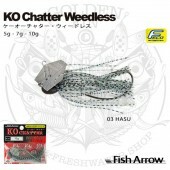 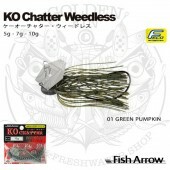 FISH ARROW KO CHATTER WEEDLESS is a wide gap hook chatterbait. 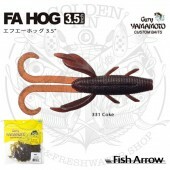 GARY YAMAMOTO FA HOG 3.5" is a Texas Rig style kreature bait.